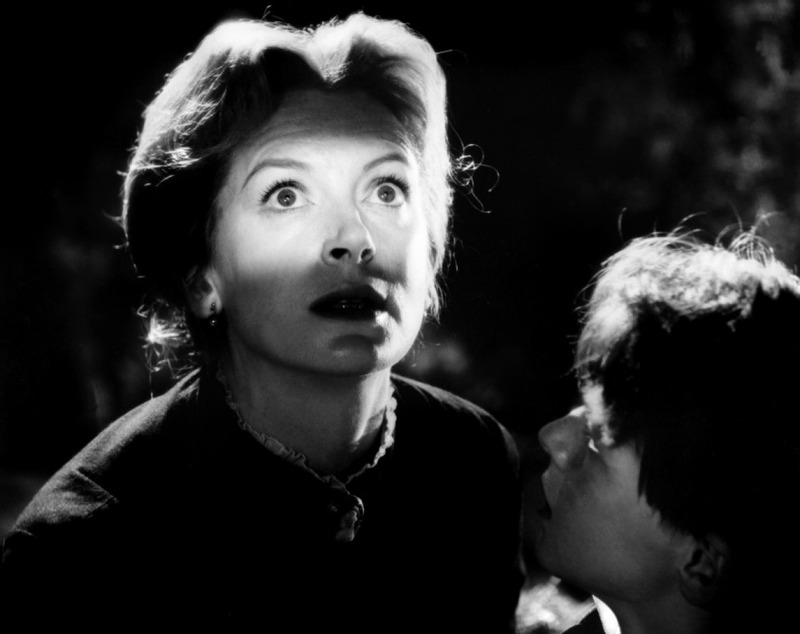 The next film on the Time Out London list that I watched was Jack Clayton's 1961 film The Innocents. Governess Miss Giddens (Deborah Kerr) travels to a remote estate to take charge of two orphans named Miles & Flora (Martin Stephens & Pamela Franklin). After several odd experiences, she starts to suspect there may be something supernatural afoot. Going into this film, I knew almost nothing about it. I'd seen the 1992 version of The Turn of the Screw, but it was so long ago, that I only remembered it starred Patsy Kensit. So basically, I was going in blind. I liked this movie a lot. It makes sense that Guillermo del Toro holds it in such regard, as I can see flashes of The Innocents in some of his work. The thing that struck me almost immediately – and often does when I watch silver screen era horror films, especially British ones – was the vernacular. I always forget how much language has changed (likely not for the better) over the years. This film is told almost exclusively through dialogue, which makes for an extremely nourishing experience and brings a certain weight to the proceedings. This is anchored by excellent performances spearheaded by Kerr, in what she described as her favourite role. The children were also very competent, both possessing an impressive emotional range. I also love movies where an inanimate object, in this case the mansion, is a character in itself. It was almost like when Miss Giddens first steps onto the estate, the rest of the world falls away. I also found the ghost sequences to be very powerful stuff. I'd go so far as to say that this film and Mario Bava's Kill Baby, Kill were the catalysts for what we now know as the modern ghost story, as the number of filmmakers influenced by these two films is immeasurable. To add to my praise, I was also not expecting the ending. Perhaps because of a similar structure, I was expecting something more along the lines of The Others. The Innocents is a great film and definitely deserves its spot on the Time Out Best 100 Horror List.